Today, in this guide, I will describe the ways to power an Arduino board and provide details on some of the best Arduino power supplies available on the market. Why You Need an External Power Source for the Arduino? The Arduino microprocessor board is an open source platform to finish your various kinds of electronics and robotics project. 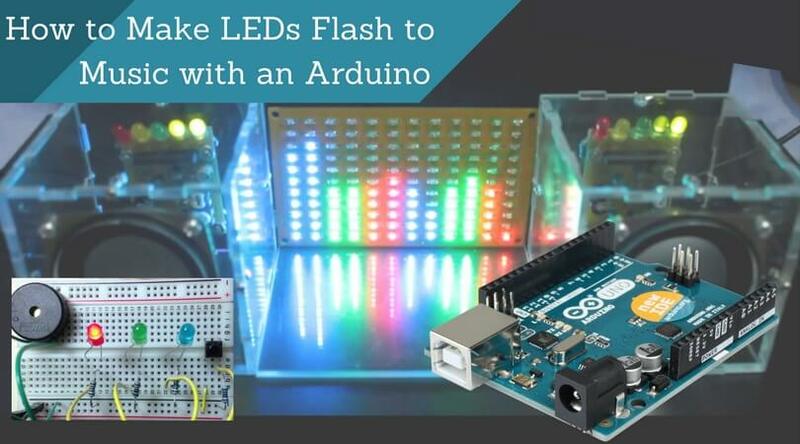 From a home automation system to an air surveillance unit, from an automatic garage door opener to a handy coffee maker in the kitchen; you can create many innovative and useful electronics circuit designs with the help of Arduino UNO and other Arduino boards. But, when you are going to use the Arduino UNO or any other circuit board in a stand-alone mode, then one major issue raises and that is the power resource for the board. We cannot exactly say it is an issue, but if you don’t have enough options, then it may become one. After getting knowledge on how to power an Arduino circuit board, we will have a look at some top rated external power supplies in the market. 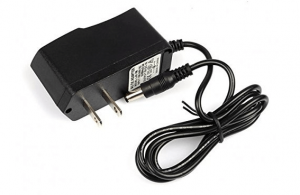 This 9V power supply adapter is well enough for your Arduino project setup. This top-quality AC to DC wall adapter provides protection against overload, over-voltage, and short-circuits. This power supply is compatible with the Arduino UNO Rev3, MEGA 2560, Arduino Due, Elegoo UNO R3, and all other devices that need 9V power input. It has an operating current of 100mA to 1500mA and voltage range of 100~240V. It comes with a 6.6 feet power cord to allow you make the setup at a fair distance from the wall adapter. The cable fits with any microprocessor board that has a barrel connector with dimensions of 5.5mm x 2.1mm. The company provides 1-year warranty so that you can have a hassle-free purchase. The electronics giant company SunFounder designed this wall wart 9V arduino power supply adapter especially for the Arduino UNO and MEGA boards. If your device current is less than 650mA, then this is the perfect adapter you can get for it. You can use this 9V power adapter with Arduino MEGA 2560/1280, Arduino UNO, and Duemilanove boards. With the barrel connector that is centered position, it fits comfortably with barrel connector port (positive/negative) of 5.5 x 2.1mm size. It is available with the cable length of either 6 feet or 3 feet which helps you to purchase according to your needs. It has the input voltage range of 120V to 240V and output voltage of 9V DC. This unit comes with a 12-month warranty from the manufacturer. With the CCC/CE safety compliance, this Arduino 5V power supply adapter from ALITOVE is a good option for the small-scale electronics projects. But beware using it outdoors in rainy season as it has not waterproof design. It comes with the input voltage range of 100 Volts to 240 Volts, and it gives DC 5 Volts output. It automatically cuts the power off during voltage overload or thermal overload. Also protects the microprocessor board from the short circuits. Steady and constant 5V output power will provide protection to your hardware against the destruction. This 5V power supply works perfect with the Arduino boards needing small input power to run and is compatible with the devices like security systems, CCTV, computer projectors, etc. You need not do the soldering for connecting wires to it as it comes with a female DC connector which helps you screwing wires. This 9V Arduino power adapter from Cinolink is manufactured explicitly for electronics project needs. 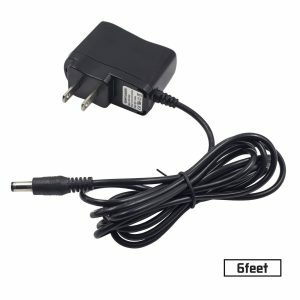 If your setup requires less than 1000mA of current, then this is the perfect 9V power supply you can get. With a positive center pin, it provides DC output power of 9V 1A. 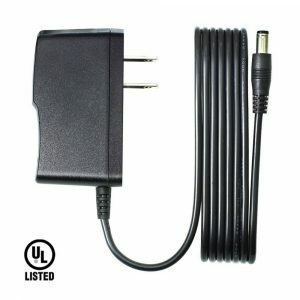 This power supply from Cinolink is UL certified and so ensures a quality power output always. The cable length is around 5.3 feet which are enough for setting up your Arduino project design away at a fair distance from the wall. 5.5mm x 2.1mm DC plus measurements makes it compatible with most of the designs. It is available at a cheaper price than other 9V power supply for Arduino which can help it to become the first choice for beginners. Another electronics giant company SainSmart introduced a 12V power supply adapter for Arduino projects. Due to its high capacity, it can deliver the power requirements of the high-end electronics designs and circuits. 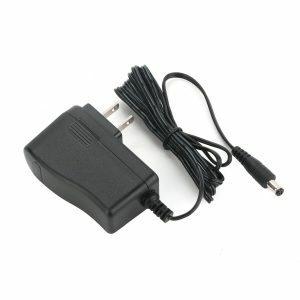 This high-quality adapter has input voltage range of 100 Volts to 240 Volts and the output voltage of 12 Volts (1A). The 5.5 x 2.1mm connector dimensions are enough for the most of the barrel connection ports. It provides constant, steady, and reliable power output to protect your hardware from any electrical damage. It is rated as one of the most favorite 12V power supply adapters for Arduino UNO R3, Arduino Mega, and other microprocessor boards. The product comes with a 1-year manufacturer warranty to offer you a hassle-free purchase. How to Power an Arduino UNO or other Arduino Board? This is the thing we are discussing today. There are several options available in the market to power your Arduino board. 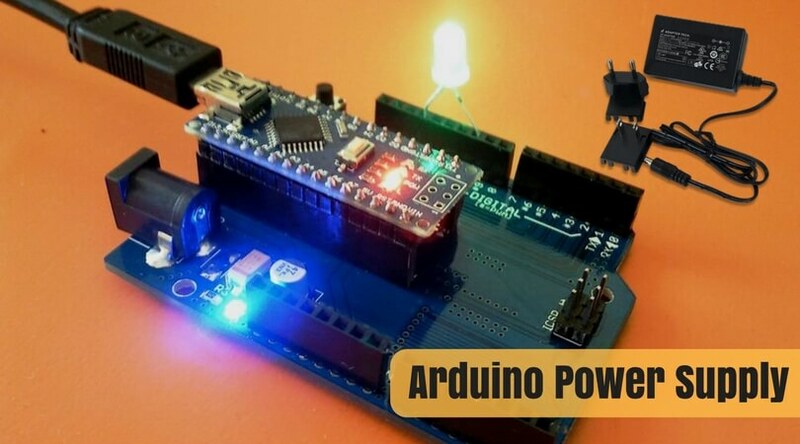 But there are some 12V Arduino Power Supply and 5V Arduino Power Supply which supplies stable voltages according to the low or high power needs of your Arduino setup. To power Arduino UNO with batteries, you will need to make the connection using the wires. Create a link to the positive, negative, and ground terminals to use the 9V battery for Arduino. You can also use 5V, 7V, or 12V batteries depending on your Arduino project requirements, but do take care of the relative current values. The USB cables are used to give direct power to your Arduino setup from your PC or laptop. You just need to connect the USB cable to the USB port of your Arduino UNO and that of your computer. When you turn on your computing system, it will recognize the USB device, runs the compatible drivers and supplies the power to Arduino. 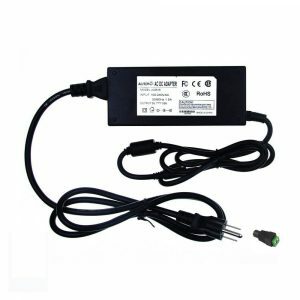 You can use an AC to DC adapter that will be plugged into the barrel connector supplies the power ranging from 7V to 12V. However, the onboard voltage regulator regulates to 5V as per the board requirement, and your Arduino will get the power. So, we have seen the best Arduino Power supplies and how to power an Arduino board with the help of external power sources. Hope you enjoyed reading the content and find the information helpful. Let the world know your thoughts in the comment section below. I am a electronic geeks. I like to build robots and I really love Arduino. I started this website to write on Arduino stuffs and share with everyone. Please like and share our website.